Please complete all details below to personalise your e-gift card. The gift card will be sent to the recipient by email on the date that you specify, limited to 30 days in advance. Important: Gift Cards purchased in New Zealand can only be used online at ezibuy.com, by calling 0508 500 500 or shopping at one of our EziBuy stores. eGift cards will be emailed to the recipient email address you nominate, on the date that you validly specify. 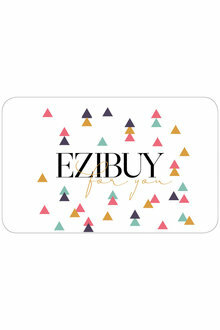 You can redeem EziBuy gift cards online or over the phone for the product of your choice. Any remaining balance may be used on subsequent purchases. Gift Cards may be topped up if required. You can check the balance of your gift card by clicking ‘check balance’. Note: eGift cards will be emailed to the recipient email address you nominate, on the date that you validly specify. 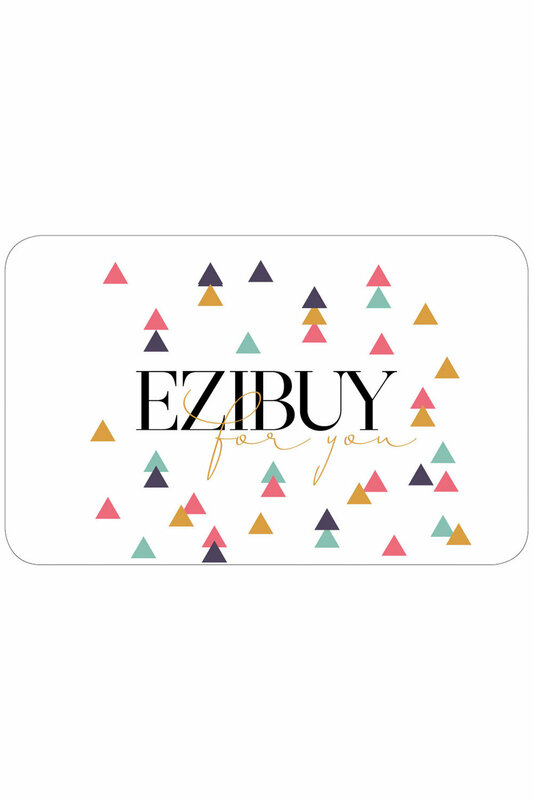 An eGift card is redeemable for merchandise sold by EziBuy Limited. It is not returnable or redeemable for cash and cannot be used towards the purchase of another gift card or eGift card. An eGift card expires twelve months from the date of purchase or, if later, activation or last top-up. Any unused balance remaining on the card at expiry will not be refunded or credited by EziBuy. An eGift card cannot be replaced and EziBuy shall not be responsible for any eGift card that may be lost, stolen or damaged. An eGift card purchased in New Zealand (or through the New Zealand website or contact centre) is valid only in New Zealand. A gift card is a plastic card or email voucher pre-purchased from EziBuy for any amount between $10 and $300. Gift cards can be purchased and are redeemable either online, via any EziBuy retail store (excluding outlet stores), or through our contact centre. For full gift card terms and conditions click here. loaded onto your gift card!